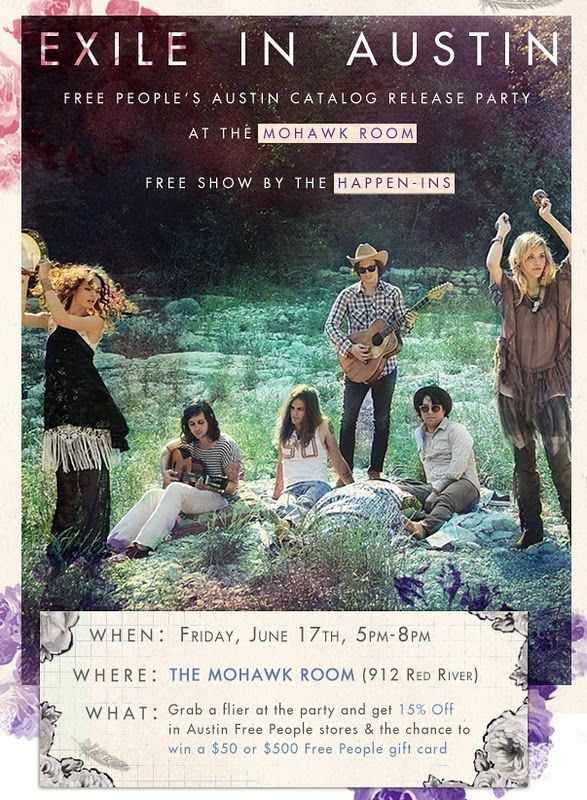 My friend's band, The Happen-Ins, who have been featured on Sea of Shoes and now, the July catalog of Free People, will be playing the catalog release party this Friday at my fave Austin venue, The Mohawk. For all you Austinites out there who love fashion and music, don't miss out on this free show! So wish I could be there but this woman's got to work. I'm not just excited for them, I'm ecstatic! 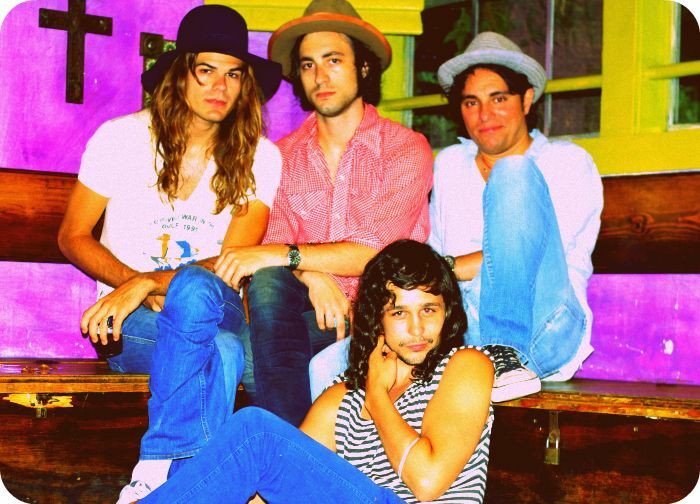 Congrats to the guys on all their hard work and amazing rock n' roll! That's so good, must be good to make it!